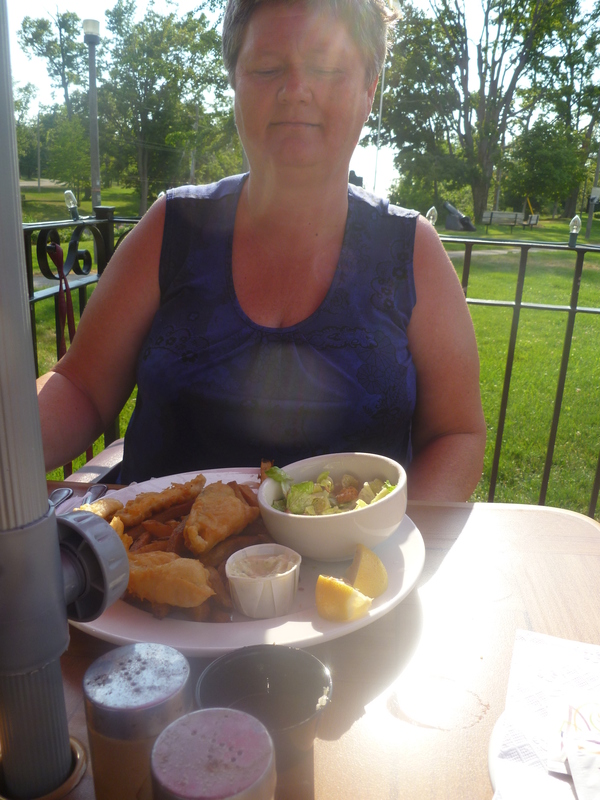 I had a few errands to run in Goderich this afternoon so could not miss an opportunity to visit the main beach and have dinner on the patio at the Park House. 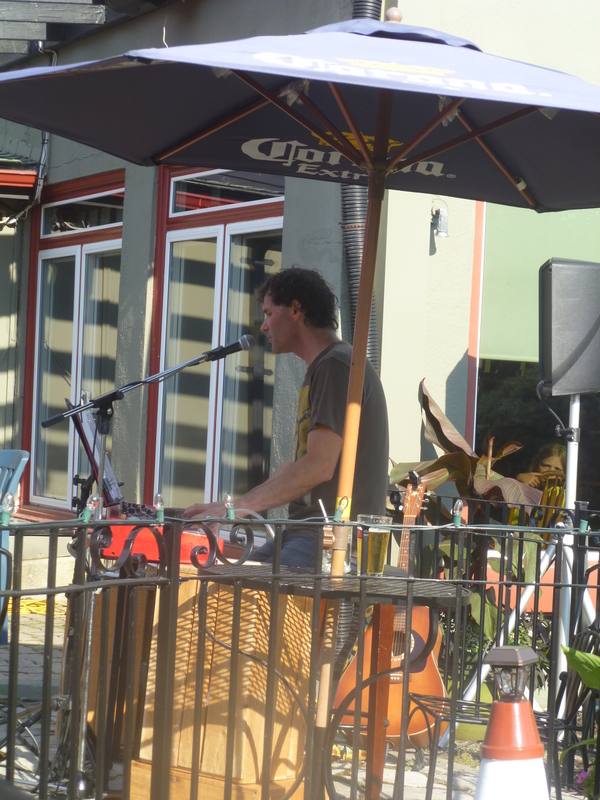 This is one of my favourite pubs in Goderich as it has good food, a casual and friendly atmosphere, and a wonderful view of the lake – no matter what time of year. I often catch the sunset, but today I was there much too early. As the storm came in over the lake, my sister and I stood on the banks of Lake Huron and enjoyed the view. It was a very windy day so the dark clouds rolled by swiftly, the sharp bolts of summer lighting dashed through the sky and thunder rumbled overhead. We just made it back to the car when the rain came. A torrential down-pour lasted just a few minutes and then the sun came out so we headed to the Park House for dinner. The Park House offers great pub food – appetizers and salads, wings, ribs, pastas and fresh fish. My sister, Sherry, enjoyed the yellow fish and I enjoyed the ribs and wing combo – both were specials on the menu this evening. Fresh from the waters yellow fish are mild & sweet tasting with delicious white, flaky fillets. Dinner included five fillets, deep fried, served with fresh-cut fries. Meaty, tender barbeque ribs and honey garlic wings were perfect fare with an ice-cold beer on a Friday afternoon. The wings were especially good as the coating was different than any pub wings I’ve enjoyed before – I can only describe them as flaky which I realize might be an odd description of a deep-fried batter. Caesar salads were served with both dinners as were a potato or rice. Sherry had fresh cut fries with the fish while I enjoyed a baked potato with butter and sour cream. The price was just $17.99 each. As an added bonus, Matthew Hussey – on the piano – provided wonderful easy-listening music in the background that really added to this evening’s dining experience at the Parkhouse. 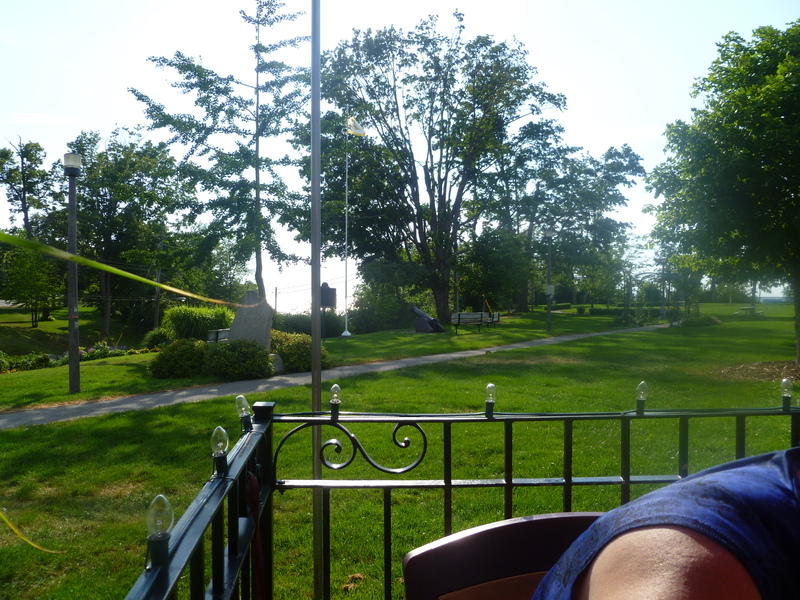 If you’re looking for good food in a casual setting, I highly recommend a visit to the Park House next time you’re in Goderich.